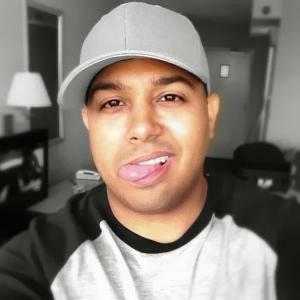 Charlie Guzman was born on 11 June 1985, in the Dominican Republic, and is a YouTube personality, best known for his comedy YouTube channel called “DashieXP”. He’s been active on the website since 2010, uploading skits, gaming and commentary videos, and is known to play various high profile video games. He has numerous subscribers, and all of his efforts have helped put his net worth to where it is today. How rich is Dashiexp? As of early-2018, sources estimate a net worth that is at $500,000, mostly earned through a successful career on YouTube, which has included collaborating with other popular YouTube personalities. As he continues his endeavors, it is expected that his wealth will also continue to increase. Dashie joined YouTube in 2006 but didn’t actively post on the website until four years later. His first channel was called “Dashie” which he established while residing in Coral Springs, Florida, USA. (His family still resides in the Dominican Republic.) Eventually, he created the channel “DashieXP” which focused on comedy efforts, then decided to expand by creating two more channels focused on other aspects, and his popularity grew as well as his net worth. His second channel is called “DashieXP2” which is a vlog channel, and showcases him hanging out with friends, bloopers from videos, and opening mail from fans. He also started his own gaming channel called “DashieGames”, which became his most popular channel. He is very active through that channel and the popularity started after he began releasing videos for the video game “Happy Wheels”; his schedule revolves around releasing various genres of games such as retro games and horror games. His original channel has now become inactive, and the videos have been posted on “DashieXP2”. Due to the popularity of his various channels, his net worth continues to increase. Dashie has been given honorable mentions by ranking channels as one of the best comedy gaming channels on YouTube. His “DashieXP” channel reached two million subscribers in 2016 while his “DashieGames” YouTube channel has reached four million subscribers. His channel has also been notable through several quirks he’s established throughout the years. He seems to show a dislike for the video game character Donkey Kong; he is always seen in his videos with some form of cap. He also mentions female names such as “Tina” and “Lory” which people speculate is a reference to former relationships. Currently, he regularly posts videos, especially on his gaming channel. For his personal life, no details are known about Dashie’s romantic relationships, if any, but he is still single. He moved to California in 2016 after neighbors complained that he was constantly making too much noise because of his YouTube channels. According to a video, he suffers from Attention Deficit Hyperactivity Disorder (ADHD) which is a reason for his short attention span. He’s also very active on other social media websites such as Twitter on which he has over 4.5 million followers, and has an Instagram account with over 370,000 followers which showcases his daily endeavors.